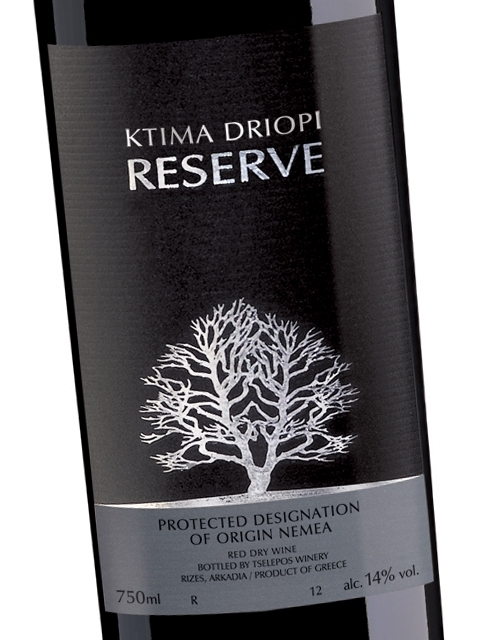 Driopi Reserve is estate-grown in Driopi Estate from the sub-zone of Koutsi in Nemea. 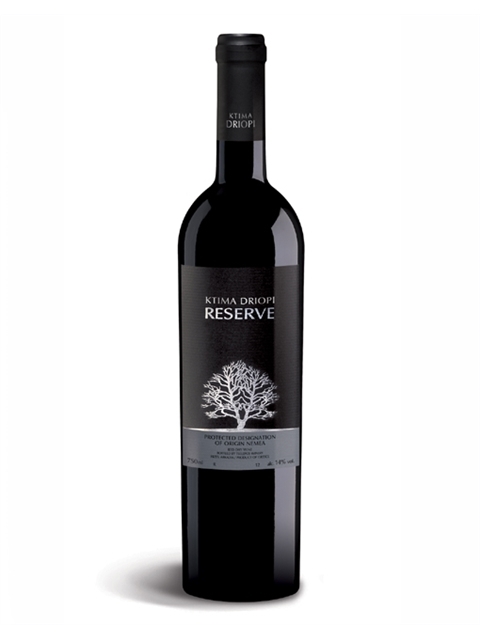 It comes from the 5-hectare single vineyard of the family, from 50-year-old vines at an altitude of 380 m. The long, 20-day extraction and 12-month maturation in new oak barrels have created a structured wine that retain unaltered the character of agiorgitiko: sweet aromas of sour cherries, vanilla, hazelnuts, red cherry and oak notes. Gentle mouth, medium (+) acidity, ripe, sweet tannins with roundness and aromatic sweetness. Very good structure on the palate and a great aftertaste. Winemaking includes chilling the grapes in reefers for 24h, crashing and fermentation in stainless steel tanks with maceration for 20 days and post fermentation maturation in oak barrels (20% bâtonnage). Clean, medium intensity, with aroma characteristics reminiscent of dense black fruits, black cherries, blackberries, sour cherries and a spicy overtone (vanilla, clove). Dry, high acidity, high tannins (fleshy and ripe), medium (+) alcohol, medium (+) body, medium (+) flavor intensity with flavor characteristics reminiscent of black cherries, blackberries, sour cherries and oak notes. Long finish.